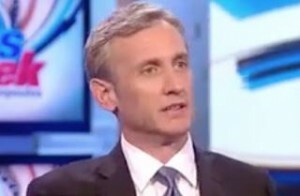 Via Mediaite.com : “Mediaite founder and ABC News Chief Legal Analyst Dan Abrams told George Stephanopoulos today it’s very doubtful Dennis Hastert would be getting prosecuted if he were someone else. The former Speaker of the House was indicted days ago and charged with both bank fraud and lying to the FBI. Hastert had allegedly been paying someone to cover up sexual misconduct that went on while Hastert was a high school wrestling coach. That being said, he thinks it’ll be “very hard for him to defend against” when the time comes.” Watch the full clip here.